The overall cost of Britain’s break from Europe is expected to be an astronomical £220 billion over four years, dwarfing the NHS budget which was a focal part of the ‘Leave’ campaign. New forecasts from the Office for Budget Responsibility (OBR) show that government debt is to hit £1.945 trillion in five years, with experts attributing the £220 billion growth to the direct results of Brexit. 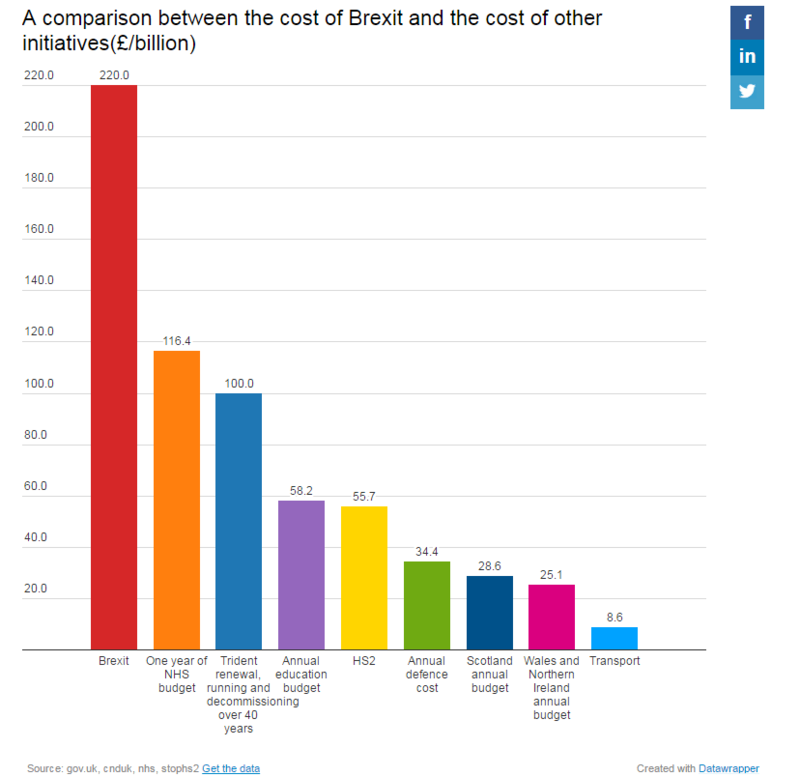 Given that protecting the UK’s interests was a key promise of the Leave campaign, a new thread has looked at comparing key domestic costs to the cost of leaving Europe. 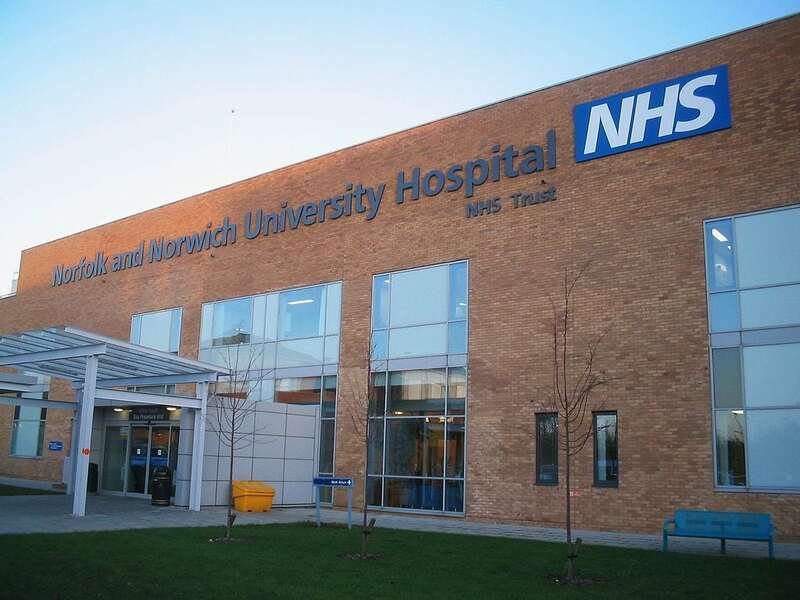 The thread revealed that compared to the annual NHS budget (£116.4 billion), the annual cost of the UK’s armed forces (£37.4 billion) and the official projected cost of HS2 (£56 billion), Brexit is likely to dwarf key national expenditure, and is perhaps even likely to lead to more years of austerity in a country already crippled by cuts. A slight detail that I’ve been trying to point out to people….? So Brexit was supposed to fund the NHS? Looks like it’s going to be the other way round. So please itemise the £220 Billion Brexit costs to us so that we can see if it is going to be value for money! !